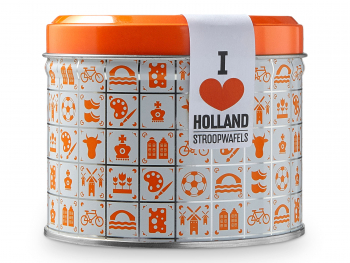 You can now personalise your own limited edition gift tin. It’s exclusively available online! This tin is ideally suited as a promotional. 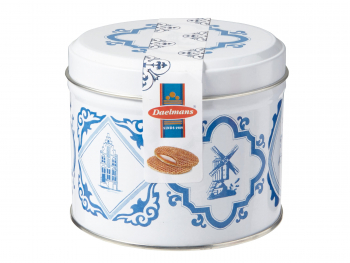 It’s also possible to personalise this unique Daelmans gift tin. The sleeve can be completely adjusted to your needs. 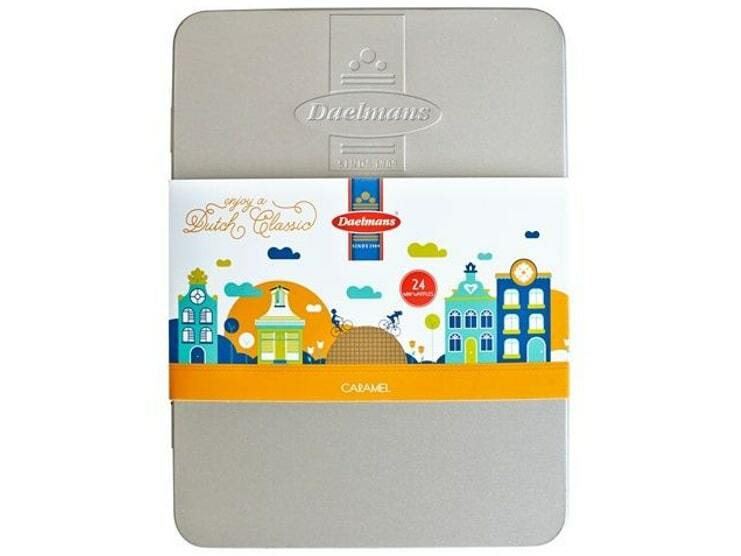 The Daelmans logo is embossed on the tin, but this embossing can also be personalised for orders with a quantity of more than 1000. Email us about this for more information [email protected]. The delivery time for a personalised tin order is approximately 3 to 4 weeks. The Daelmans logo is embossed on the A5-sized tin, which makes it very stylish and sleek. 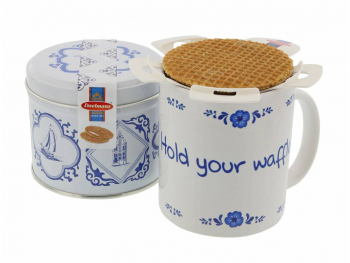 Perfect for presenting your stroopwafels! The sleeve can be easily removed, without leaving any glue marks. 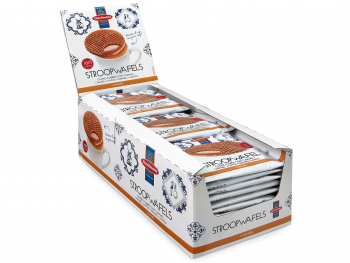 We have filled the gift tin with 24 of our single wrapped mini stroopwafels.